Today, jeans are worn by men, women and children. Jeans are considered a staple of comfortable fashion in Western society. They come in a variety of styles, colors, shapes and fits, many of which are at the height of fashion. However, jeans have a different history. The first jeans were created for work only and made from different materials than they are today. When jeans were first created, the denim used to make them consisted of wool. It was originally used for sails. Sailors began to notice that the material was strong, durable, and would make great sailing pants. 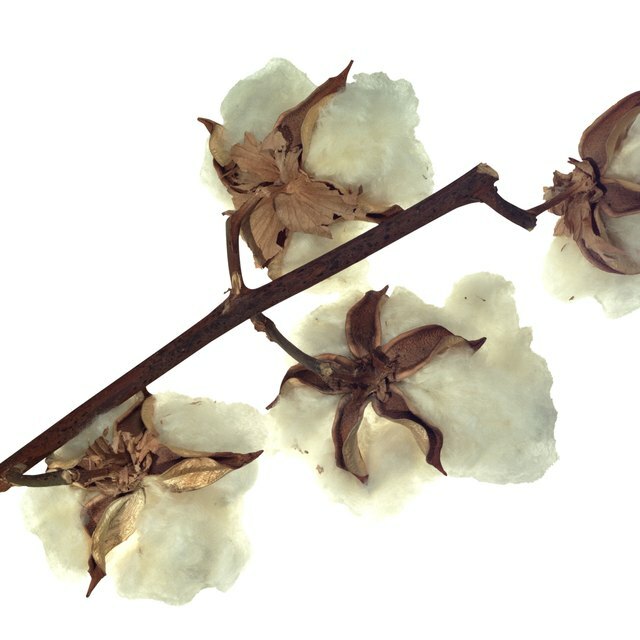 By the 1700s, denim was created from a blend of both wool and cotton, but later just from cotton. In the 19th century, there was a need for strong pants that men could work in that would endure hard labor in the mines of California. This is when denim jeans made from cotton really took off. The same miners who wanted strong, durable work pants began wearing jeans. While jeans were perfect for their needs, some complained that the pockets weren't strong enough to hold their bulky, heavy tools. Jeans were then created with copper rivets. Originally, copper rivets were also put on the back pockets, but after jeans became popular on farms with young boys, teachers found that the rivets on the back were tearing up the school chairs, so jeans makers began sewing rivets only on pockets on the legs. What Is the Difference Between Levi 505 & 501 Jeans?